Our Year 6 Chaplaincy team were extremely fortunate to be able to visit the CAFOD Volunteer Centre in Bulwell. They were joined by children from Holy Trinity School in Newark and jumped at the opportunity to plan and deliver a Liturgy for the Sisters in the Poor Clare Monastery. The Sisters were very impressed with what the children had planned and afterwards stayed to talk to the children and answer any questions they may have had. In the afternoon, Maggie - who works at CAFOD's volunteer centre - planned a variety of activities for the children. Some of the children were able to write their own prayers and intentions for the CAFOD prayer tree. The children were very keen to find out more about the work of CAFOD and develop their understanding of what their raising money and awareness for. It is now time for the Chaplaincy Team to pray, raise awareness and funds for their Charity. Keep a look out for their charity work over the next few months - particualrly so in Lent. We gathered together as a team today to discuss our upcoming charity work. We are really excited to share with you our plans for this year. We are currently planning our own assembly to launch our charity project, so look out for further information. 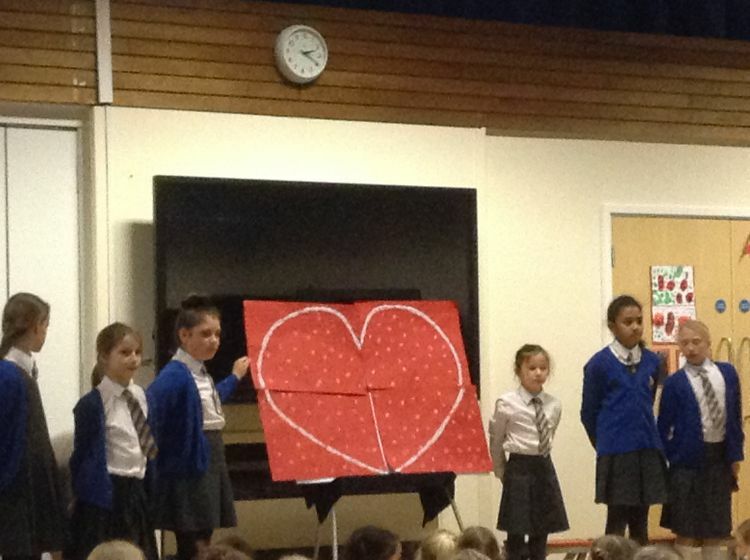 Today our Chaplaincy led their first whole-school Liturgy based around the theme of 'Serving Others'. They worked alongside our Chaplain, Joe, to introduce themselves to the rest of the school, explaining what their role is, how they are going to support the rest of the school and their aims for this year. We are really excited to watch the Chaplaincy grow and inspire others across the year. You can find out all about us on the Chaplaincy Board in the coridoor. What does the Pope say? We are extremely excited to announce that our Chaplaincy team have been chosen for 2018-2019. Come back soon to find out more about what they've been up to at the beginning of our Advent 1 term and their plans for the rest of the year. In the meantime, you can have a look at the wonderful work we have been doing with The Chaplaincy team at the Becket. You can also have a look at what our school community has been thinking about in our own school liturgies which have been prepared by the pupils in the school. On Friday 18th of November 2016, we went to St Barnabas Cathedral in Nottingham with Mrs McElhone & Mrs Mann. We celebrated with Bishop Patrick, the last mass for the year of Mercy. All the schools from the diocese of Nottingham were represented at the mass & it was “live streamed” across the diocese. Every school had to bring an item to represent what they have been doing over the year. We made a brick wall with pictures of some of the children from Our Lady of Good Hope School in Bunkpurugu, to represent the children & community we will continue to support as part of our Year of Mercy legacy. We were interviewed about our legacy LIVE on stream that went across the diocese, check us out on www.bemerciful.co.uk it was very exciting! He asked us if we understood what it was to have a “seeing heart” and how we could continue with our works of mercy throughout our lives. The Year of Mercy has been a time to make us all think about what we have and what we can share and do for others.